In a rare fusion of literary sensibility with psychological research, Norman N. Holland brings to light important data showing how personality—in the fullest sense of character development and identity—affects the way in which we read and interpret literature. This book will show that readers respond to literature in terms of their own lifestyle, character, personality, or identity. By such terms, psychoanalytic writers mean an individual's characteristic way of dealing with the demands of outer and inner reality. Each new experience develops the style, while the pre-existing style shapes each new experience. The sub-title of this book, Five Readers Reading, reflects the fact that the author, a distinguished literary critic, worked with five student readers, using a battery of psychological tests and extensive interviews to study the ways they reacted to classic short stories by Faulkner, Hemingway, and others. 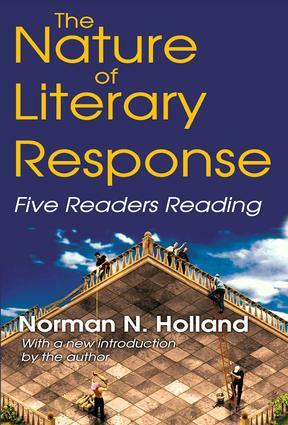 Combining his own interpretation of the stories with his understanding of the readers and their reactions, Holland derives four principles that inform literary response. He then goes on to show how these principles apply, not just to literary response, but to the way personality shapes any experience. The book carries Holland's previous studies of creation and responsive recreation forward to a major theoretical statement. He rejects the artificial idea that one must think of a text (or other event) as separate from its perceivers, illustrating the dynamics by which perceiver and perceived mutually create an experience. For critics and students of the psychology of human behavior, this is challenging and seminal reading. The Question: Who Reads What How? The Evidence: Sam, Saul, Shep, Sebastian, and Sandra Read Faulkner's "A Rose for Emily"